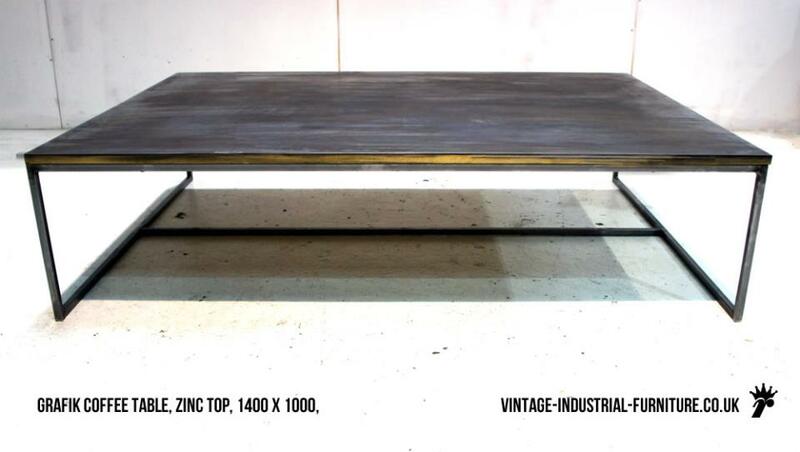 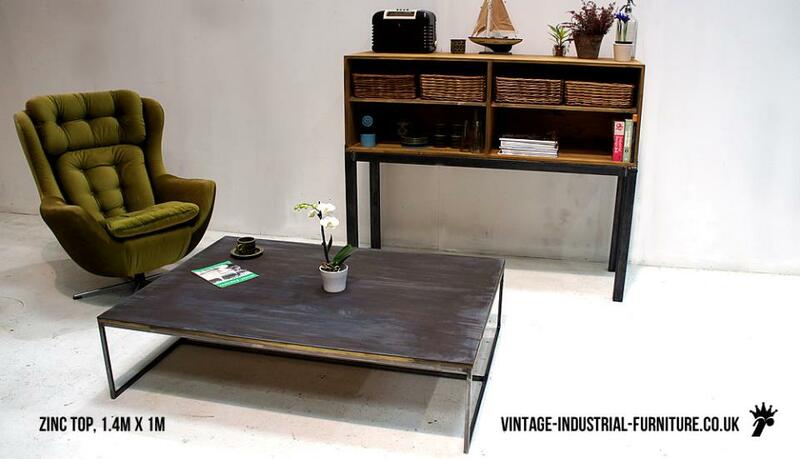 A crisply-styled zinc top coffee table mounted on a slim industrial style frame. 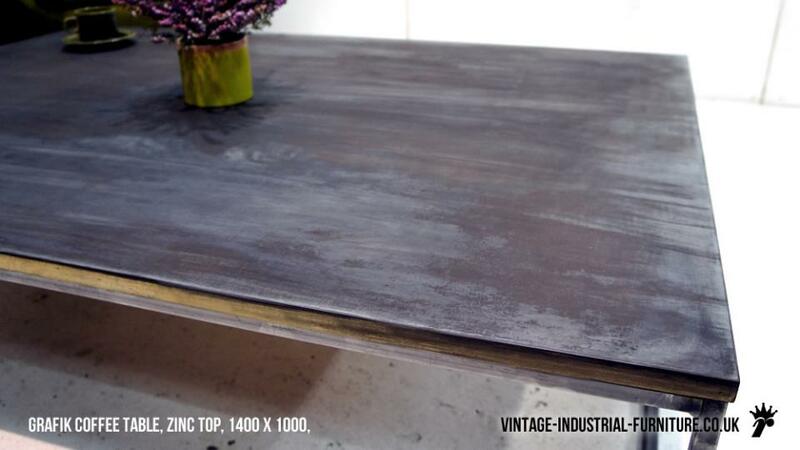 Unlike other examples this piece has zinc only on the top surface, exposing a wooden edge - softening the aesthetic. 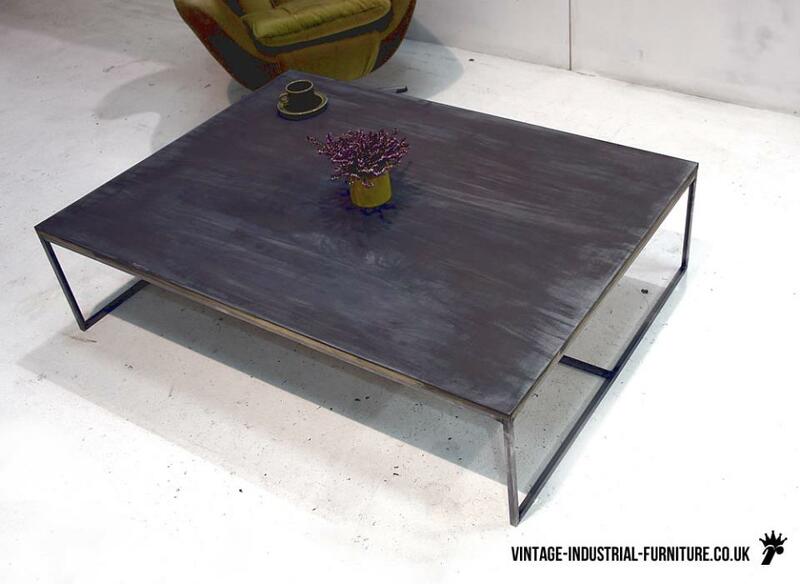 A wonderful constrast is struck between the imposing large area of zinc and slender steel structure below. 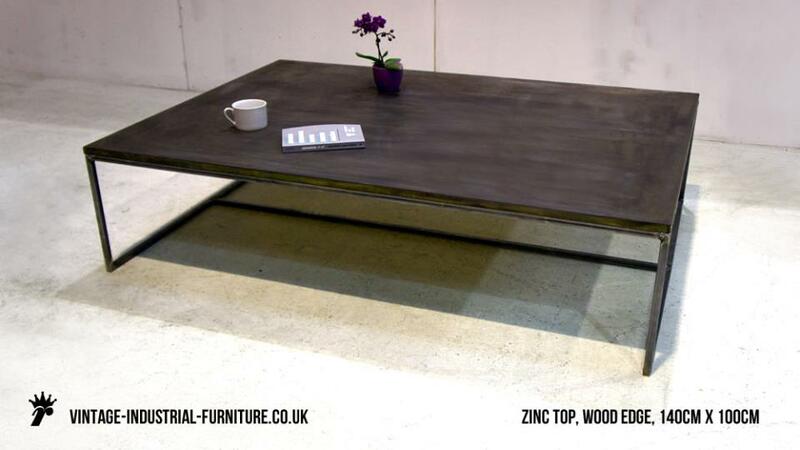 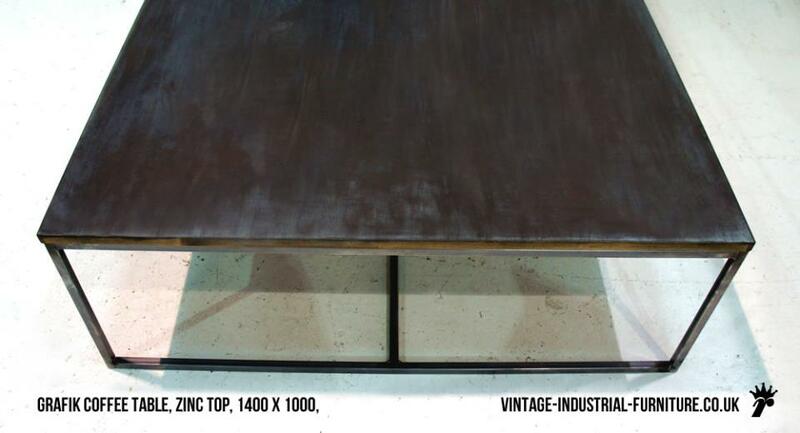 The zinc top is supplied with a patina that will evolve with use so that your coffee table ages, developing character. 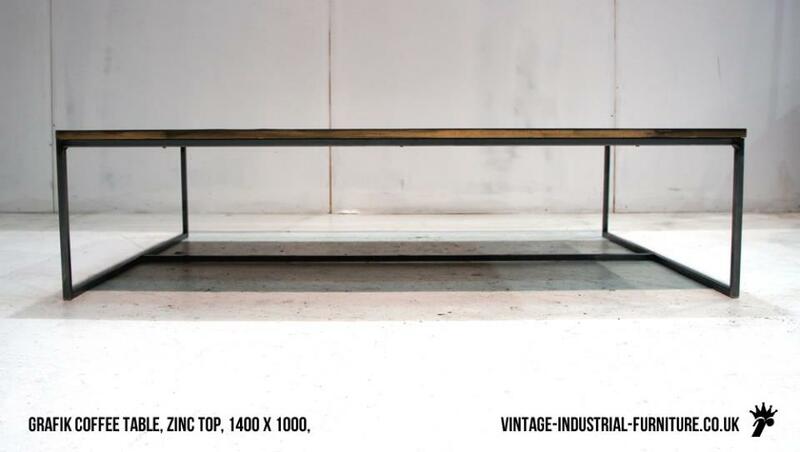 Please contact us if you need a bespoke size.